Merrion Square was originally a private square for the sole use of local residents. It was purchased by the Catholic church in 1930 with the intention of building a cathedral on the site. This never materialised and Dublin Corporation took over ownership of the park in 1974. DCC are undertaking a broad scale renovation of Merrion Square Park. These works are being guided by the Conservation & Management Plan which was completed in 2014. Re-establishing the original ‘jardin Anglaise’ layout is the main focus of the renovation works. An emphasis is being placed on quality materials and craftsmanship. 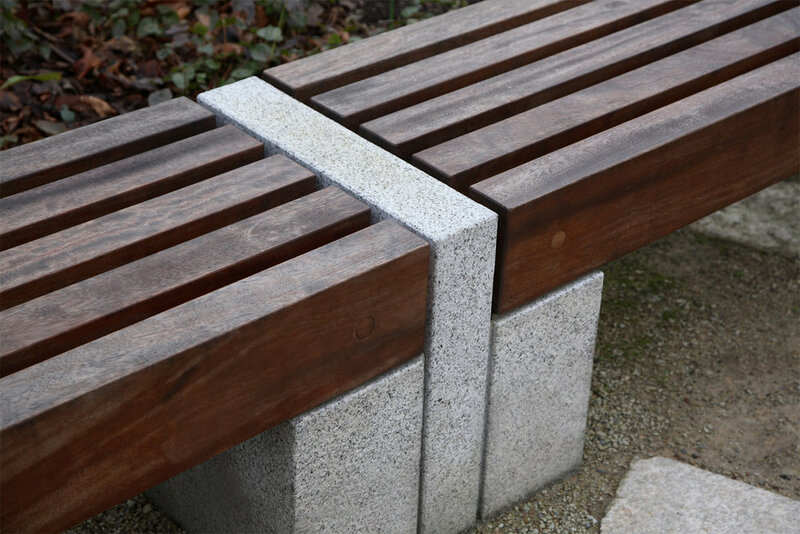 New elements, such as the park benches, have been designed with a clear acknowledgement of the Georgian roots of the park while embracing it’s place in 21st century Dublin. 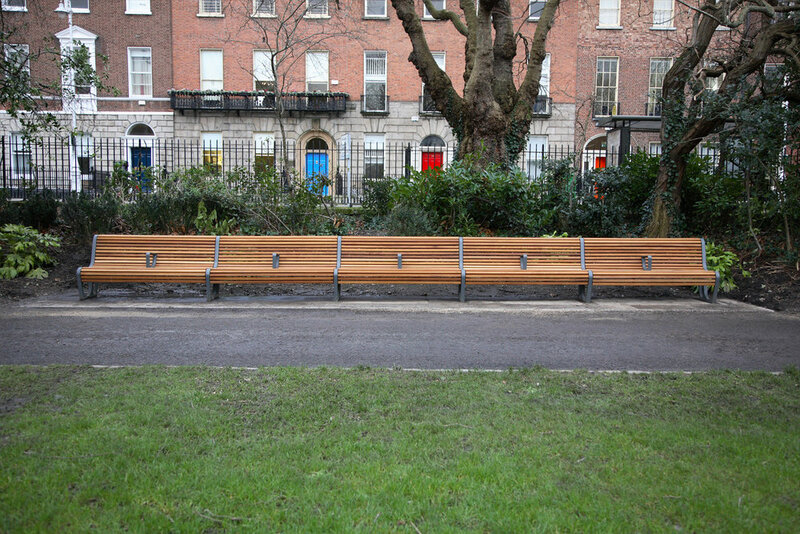 The new seating and signage was produced by Omos and was designed and developed in close conjunction with the landscape architects within Dublin City Council Parks and Landscape Services.